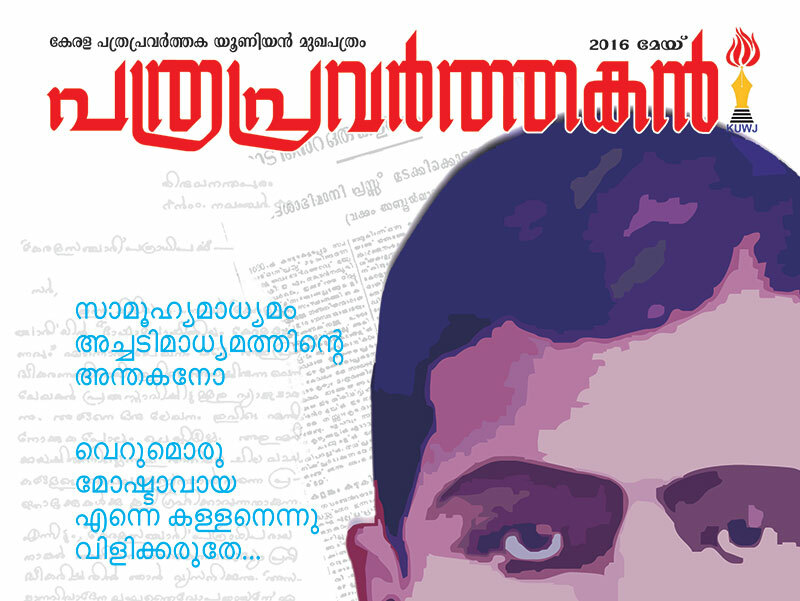 Kerala Union of working Journalists (KUWJ) is an organisation of the Working Journalists of Kerala. It is affiliated to the Indian Federation of Working Journalists(IFWJ). Membership of the Union is open to all the Working Journalists of Kerala and working Journalists of media institutions which have their head offices in Kerala, placed in the various state capitals and national capital. To raise the standard and status of the members of the profession and the profession. To promote a spirit of co-operation and understanding among journalists. To strive for the betterment of the working condition of journalists especially in terms of salary,tenure of office ,security of service conditions of serviceetc. To promote and maintain the highest standards of conduct and integrity. To promote amenities for recreation and scope for social and cultural activities. To provde legal, unemployment disablement aid and benifits to needy journalists. To secure redressal of grievances of members against authorities, employers and to bring about settlement of disputes. To strive for the freedom of the press and all democratic rights of the people..
To provide for the profesional training of journalists.